DMV Hearing | Richard Nick Kelley, P.A. If you have been arrested for drunk driving and you refuse a breath or chemical test, or if your blood alcohol level is found to be above .08 percent, you driver’s license will be suspended automatically. In order to get your license back, you must file for a hearing with the Florida Department of Highway Safety and Motor Vehicles (DHSMV) within 10 days of the suspension. These are commonly referred to as DMV hearings. The DMV hearing is a separate proceeding from the criminal charge for drunk driving. The only purpose for the DMV hearing is to determine the status of your driving privileges. Depending on the outcome of your hearing, your suspension may be sustained, amended or invalidated. The suspension is almost always sustained at the DMV hearing, but that does not mean that there is no reason to request one. I am Kissimmee DMV hearing lawyer Richard Nick Kelley. In every DUI/DWI case I handle, I always recommend requesting a DMV hearing. While they can be difficult to win, it can be done. I present the strongest possible case to support your right to drive at the hearing in order to give you the best chance at retaining your privileges. Even if the suspension is upheld, it may still be possible to get a hardship license that allows you to drive for the purpose of work, school, doctor appointments or other necessary functions. The other advantage of a DMV hearing is the opportunity to ask the arresting officer questions. In misdemeanor cases, attorneys do not get to conduct depositions. At the DMV hearing, I can ask the officer all the questions that would normally be asked at a deposition and learn everything the officer would likely testify to if your case went to trial. This information is extremely valuable in the preparation of your defense in the criminal DUI case. Contact Richard Nick Kelley, P.A., today for a free consultation about the DMV hearing. You can reach a member of my firm 24 hours a day, seven days a week. Call my Kissimmee office at 407-847-6259. 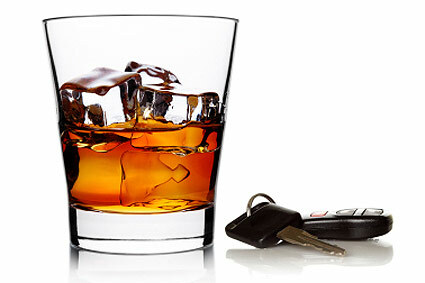 What Do I Do If I Am Charged with DUI in Kissimmee? Never Plead Guilty To DUI Without Talking To A Defense Lawyer.